What Obama said [to the Israeli people]: "the Palestinian people’s right to self-determination, their right to justice, must also be recognized"
In an address that was labelled as the centerpiece of his trip to Israel, U.S. President Barack Obama made a speech in Jerusalem on Thursday afternoon in which he said he was speaking directly to the Israeli people. It had two parts: the first reaffirmed the Israeli narrative*; the second said that the creation of a Palestinian state was necessary, and just. (1) “For the Jewish people, the journey to the promise of the State of Israel wound through countless generations. It involved centuries of suffering and exile, prejudice and pogroms and even genocide. Through it all, the Jewish people sustained their unique identity and traditions, as well as a longing to return home. And while Jews achieved extraordinary success in many parts of the world, the dream of true freedom finally found its full expression in the Zionist idea — to be a free people in your homeland. That’s why I believe that Israel is rooted not just in history and tradition, but also in a simple and profound idea — the idea that people deserve to be free in a land of their own”. (4) “Meanwhile, Palestinians must recognize that Israel will be a Jewish state and that Israelis have the right to insist upon their security. (Applause.) Israelis must recognize that continued settlement activity is counterproductive to the cause of peace, and that an independent Palestine must be viable with real borders that have to be drawn. (Applause.) I’ve suggested principles on territory and security that I believe can be the basis for these talks. But for the moment, put aside the plans and the process. I ask you, instead, to think about what can be done to build trust between people”. Continue reading What Obama said [to the Israeli people]: "the Palestinian people’s right to self-determination, their right to justice, must also be recognized"
Posted on 22 March 2013 Author Marian HoukCategories Israel, Palestine & Palestinians, USATags Israel, Palestine, State, U.S. President Barack ObamaLeave a comment on What Obama said [to the Israeli people]: "the Palestinian people’s right to self-determination, their right to justice, must also be recognized"
Israeli journalist Barak Ravid, who loves having sensational scoops, started off the day Sunday by floating a report that Britain + France may recall their ambassadors to Israel — an unprecedented step — in response to the Netanyahu cabinet’s announcement on 30 November that it would advance the planning process to build in E-1. The E-1 area is, as Israeli lawyer and Jerusalem expert Daniel Seidemann has said over and over in recent days, the “Doomsday” settlement. The Netanyahu cabinet also said it would build some 3,000 other settlement units in as-yet-unspecified places in and around Jerusalem [or, what Israeli officials unilaterally defined in 1967 as the “Greater Jerusalem Municipality”]. As it happened, Britain and France were not ready to recall their ambassadors — a futile step in any case, however sensational. Instead, Britain, France, Spain, Sweden and Denmark called in the Israeli Ambassadors to their capitals, and expressed their dismay and displeasure. UPDATE: Australia and Brazil, Ireland and Finland all did the same on Monday. The Israeli reaction was unruffled. What did they expect, Israeli officials said [it was not a question, but an expression of attitude, specifically disdain]: we said we would take retaliatory action if the Palestinians went ahead with their UNGA move, and that’s what we are doing. The flurry of announcements was dizzying. 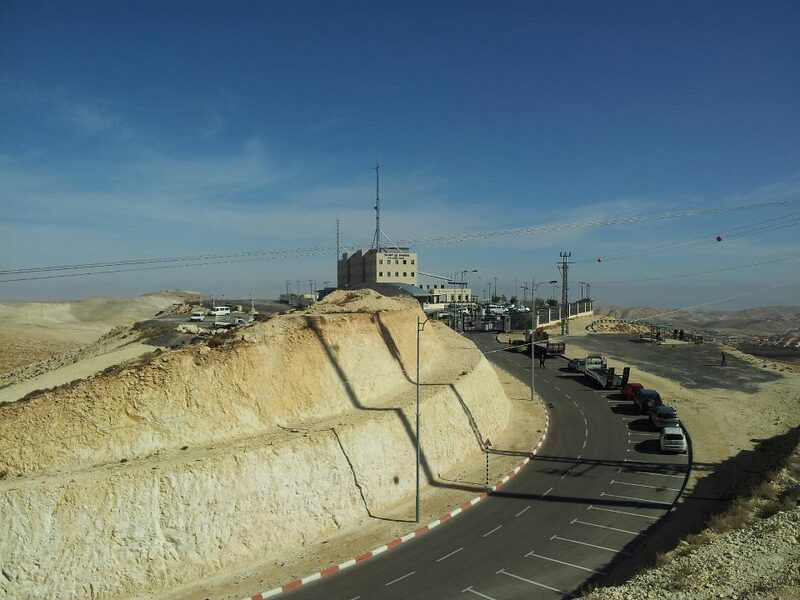 Ma’ariv reported that a West Bank planning commission would meet on Wednesday to expedite [yes, that’s what the cabinet said it would do, and that’s what’s happening] Israeli development in E-1. On Tuesday, the Times of Israel gave the first indication of where the 3,000 promised new settlement units would be located, reporting here “Some 1,700 units are scheduled for approval by the [Jerusalem] municipality in Ramat Shlomo, a largely ultra-Orthodox neighborhood on the northern outskirts of the city. The construction plans were initially okayed a year ago, during a visit by US Vice President Joe Biden. The plans were frozen after an international outcry over the timing of the approval, which were seen as disrespectful to Washington.The municipality will also green-light the construction of the first new neighborhood beyond the Green Line since the 1997 decision to build Har Homa. Thousands of apartments are to be approved in Givat Hamatos, located next to the Jewish neighborhood of Talpiot and the Arab neighborhood of Beit Safafa”. These are just north and just south of the “Greater Jerusalem Municipality”. E-1 is, as the name shows, the first block of land east of the “Greater Jerusalem Municipality”. And, now there’s a new idea being put forward by Israeli and pro-Israeli advocacy groups. Camera.org turns the table and attempts to argue here that it is Israel’s territorial contiguity that will be affected if E-1 is NOT developed… This posting is dated 2 December 2012. The Israel Project [TIP] does the same thing [but with a different map, which doesn’t show this exaggerated detour]. This is something that Israeli Ambassador Ron Prosor had warned of, in his address at the UNGA in New York, just before the vote last Thursday that he by then had no hope of averting. Posters hung on lamp posts in the city center [in English + Arabic] which say: “Warning: this is Palestinian land. Occupation forces must leave”. Palestinian TV has gone all out to remind viewers, over and over, that Palestine is now a state. PLO Chief Mahmoud Abbas returned to an organized hero’s welcome in the Ramallah Muqata’a today, after travelling to the UNHQ in New York for the General Assembly vote that gave Palestine state status [albeit still non-member in the UN]. The photo below was taken inside the Muqata’a by French journalist Emilie Baujard, and Tweeted here. After the Israeli announcements last week of expediting procedures to begin building in the E-1 area, as well as another 3,000 settlement units in the “Greater Jerusalem Municipality”, and then today’s announcement that some 460 million NIS [new Israeli shekels = $121 million US dollars] in Palestinian VAT + Customs Tax fees collected at Israeli ports would now be withheld and instead diverted to pay outstanding PA electricity bills of some $200 million dollars, there apparently is still more to come. Barak Ravid tucked the following revelation down at the bottom of his Haaretz article, published here, on strong European protests being made about the settlement announcements: “a source in the Prime Minister’s Office said that Israel is planning to take more steps against the Palestinian Authority. 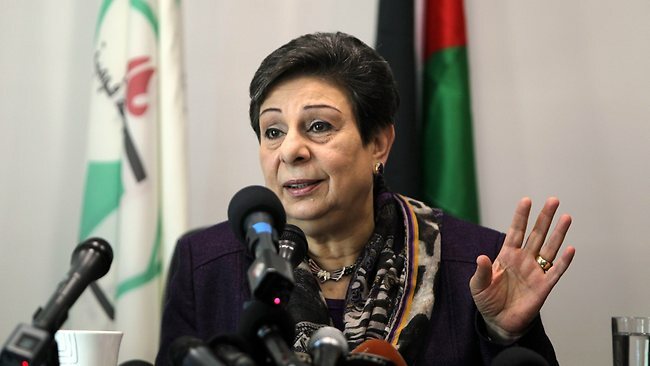 ‘The Palestinians will soon come to understand that they made a mistake when they took unilateral action and breached their treaties with Israel’, the source at the PMO said”. Hebron is the only Palestinian city outside Jerusalem in the occupied West Bank where Israeli settlers are living in the midst of a Palestinian population. It is not a situation where good neighborliness abounds. Yes, there was a Jewish community in Hebron which became victim to enraged Palestinian mobs in 1929, and a horrible massacre was perpetrated there [it also has to be said that some Palestinian families sheltered and saved their Jewish neighbors during the sudden attacks], and the Jewish community was evacuated. Settlers returned there in the 1980s, in an extremely belligerent presence. The ugliness of relations has been documented by numerous photographs, videos, news reports and eyewitness accounts — including from members of the serving Israeli Defense Forces, who were themselves appalled at the aggression of Jewish settlers, and the casual complicity of some of the young Israeli soldiers, against the Palestinian population. In February 1994, an American-Israeli settler living in Kiryat Arba just above downtown Hebron went, wearing his Israeli Army reserve uniform and carrying his rifle, into the immensely important Ibrahimi Mosque [built to enclose the tomb of the Patriarch Abraham, who is revered by both Jews and Muslims as the first prophet of their monotheistic religions], and killed 29 Palestinian worshippers at dawn prayers during Ramadan. The murderer was killed on the spot, and his tomb in Kiryat Arba has become a focus of some celebratory pilgrimage for national-religious extremists. Since then, the Ibrahimi Mosque has been divided under schedules and demarcations that are totally under control of the Israeli military. Muslims are excluded for a day or more at a time, during certain Jewish holidays. The Jewish settler presence in downtown Hebron was accepted a few years later by the late Yasser Arafat in negotiations with Benyamin Netanyahu that were brokered by U.S. President Bill Clinton in the Wye River Accords, part of the Oslo process, which divided the Old City of Hebron into two areas [H1 + H2]. Because of the terrible relations that ensued, a group of countries has created a Temporary International Presence in Hebron [TIPH] with international monitors [most with policing or legal experience] who drive around in marked white cars with distinctive vests, and make purely internal periodic reports about the continuing tension. And, there is a Christian Peacemaker Team [CPT] of volunteers living in the area of worst tension in Hebron, the Old City.